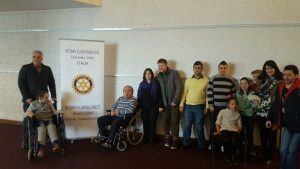 Discover more about the activity of the Rotary Club of Bucharest! 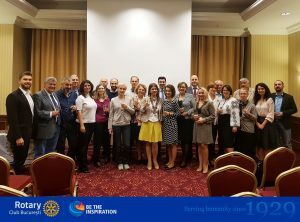 This week, Rotary Club Bucharest gathered for a festive meeting. Graţiela Bădicu received with excitement and enthusiasm the provocation of the president’s mandate, reaffirming the importance of the spirit of friendship and community service. 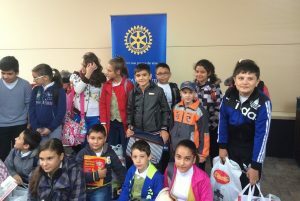 One of the major, traditional projects of the Rotary Club of Bucharest, Mia’s Children supports children in difficult life situations. The “Help a Child Learn” program promotes performance to primary and gymnasium school students and makes efforts in preventing discrimination against students with good results, that come from low-income families. Within this project, several families in this area received aid from Rotarians: clothing and footwear, writing materials, bicycles, computers, TV sets and school furniture. 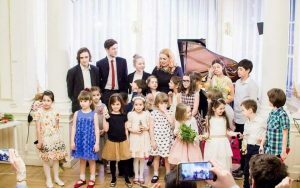 A wonderful project, in which the vocal recital was given by the children that benefit from the scholarships of the Institute of Art, to offer Mia’s Children a true joy.